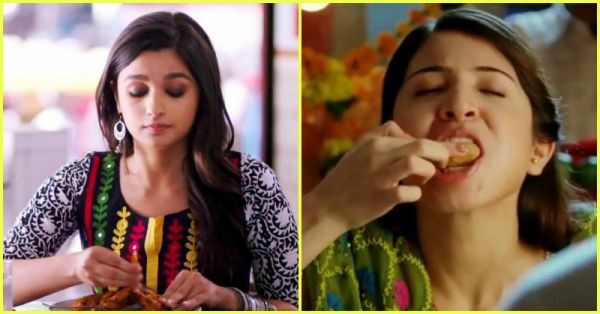 Veg Vs Non Veg: Here’s What The Other Side Thinks! This Veg vs Non-veg debate has lasted way too long! Let’s put it to rest once and for all (Can we?!). So, Veg vs Non-Veg, what's really the best!? Non Veg- It is obviously never an issue when we’re out with friends! Even if they are vegetarian and need to be picky about the things they can eat, we know we have the entire menu to pick from! Veg- Yeah, it can get a little difficult to find veg food everywhere you travel, but well, finding veggies anywhere would NEVER be a problem. Non Veg- Travelling is even more fun because of all the different foods we get to try out. We can go right ahead and try local cuisine without really having to think about what it is made out of. Food allows us to build a whole new and different perspective about the place we’re in and get a sneak peak into their culture! No restrictions really, unless we’re allergic to something of course! 3. For the love of dating! Veg- One super simple way to know he really likes you? Orders veg for two (even if he’s not one) Non Veg- Going on a date is so much easier when you don’t have to worry about whether or not the place you’re going to will have enough options for you to choose from! Any place is good as long as they serve good food! 4. Oh, so much variety! Veg- Haven’t you heard of Rajasthani, Gujarati, South Indian AND all the north delicacies? ALL that’s veg and super yumm! Non-veg- There is all that is available for the vegetarians of the world, plus a thousand other things! We can never run out of new and exciting options to serve our pallets! Veg- Wash, peel, chop and cook. It’s hassle-free, really! Non Veg- Yes, cooking non-vegetarian food might be just slightly more hectic, but it does allow you to try out that many more recipes. Cooking made fun indeed! Plus cooking for non-veg people is easy. You know they’ll be happy with whatever you put in front of them! GIFs: Giphy, Tumblr HAVE A STORY IDEA FOR POPxo? If you want to hear about it, we can write about it! Just tell us your idea here! MUST-READ: Clean-Shaven Boyfriend vs Boyfriend With Stubble: Who Wins?! MUST-READ: Sarojini Vs Colaba: Which Is The BEST?!?!?! ?